Chelsea forward Eden Hazard is the latest player to praise Anfield’s atmosphere, claiming he ‘loves’ to play at the stadium. That explains why he always seems to score against the Reds! 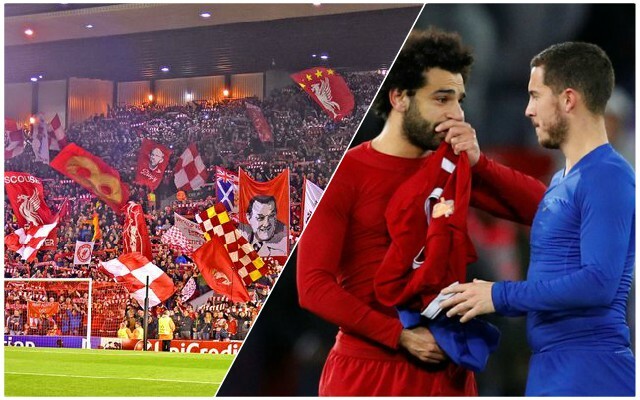 It’s telling that Hazard chose to praise Anfield rather than the stadium he has played most often in since signing for Chelsea in June 2012 – Stamford Bridge. Even the players of other teams know Anfield is the best stadium in the country. Hazard is not the only person to praise Anfield and take a dig at his own team in the process – Jose Mourinho did the same when he was the manager of Manchester United. The Reds will be back at Anfield next Saturday to face Crystal Palace looking to maintain their unbeaten home record in the Premier League which extends back to April 2017 and extend the gap at the top of the table.